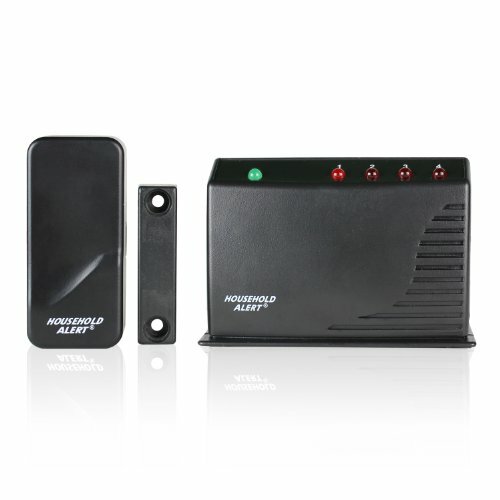 The WD-434RTL Wireless Door/Window Alert & Alarm System is designed to monitor any door or window within your house, office or any location you would like to monitor. When the monitored window or door is opened, the receiver will flash along with an alert beeping or alarm sound. You can set the system to one of three operating modes to be alerted. All three modes will flash an LED to notify you, you can change the mode based on the audio indicator you would like to receive. Alert Mode omits beeps when a sensor is activated, Alarm Mode will scare off intruders with a 95 dB siren when a sensor is activated, and Off Mode will not omit any audio indictation, just the visual LED lights. This set includes one sensor and receiver unit. The WD-434RTL can work with up to 16 sensors and you can choose from 4 different sensors depending on the required application. Add more sensors for enhanced security and alert applications. This kit is compatible with the following Skylink sensors: Wireless motion sensor HA-434TL, Garage door sensor, GM-434TL, Water alert sensor WA-434TL and the Door/Window alert sensor WD-434TL. Easy to install & Set-up. Magnetic type contact sensor that notifies you when the door or window is opens. 2 in 1 Alert & Alarm Modes. Alarm Mode has built-in piercing 95-dB siren. Be notified of your surroundings! Supervised sensor monitors the sensors and their battery condition automatically. Expandable system, HA-434RL receiver can work with up to 16 sensors in 4 zones.